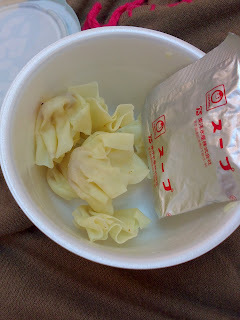 I was surprised to see instant wontons because they usually come frozen or freshly made to be cooked. 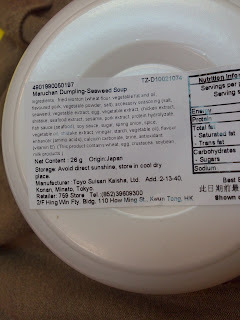 There were quite a few flavours but I got the one with seaweed because I like seaweed. Basically it contained dried wontons and a sachet of soup base. 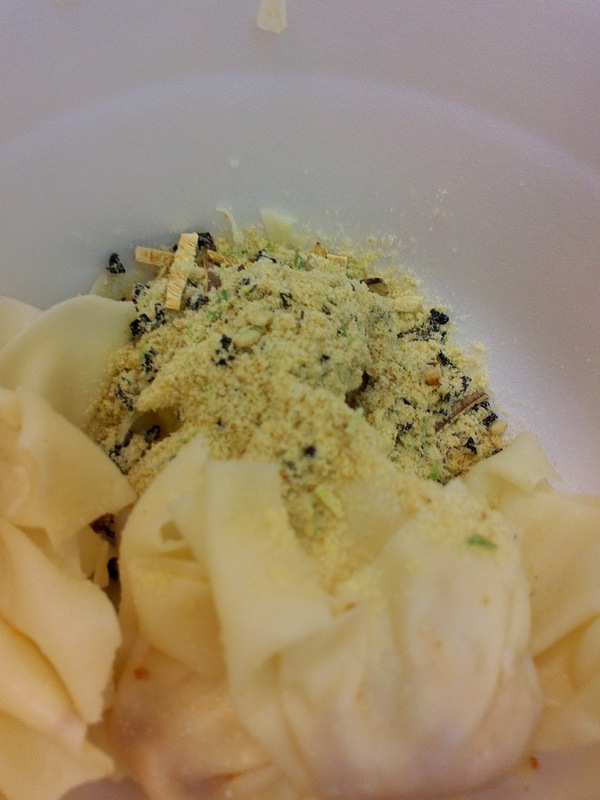 It was simple to prepare, just open the lid, put the sachet of soup on the bowl, and add water to the line! 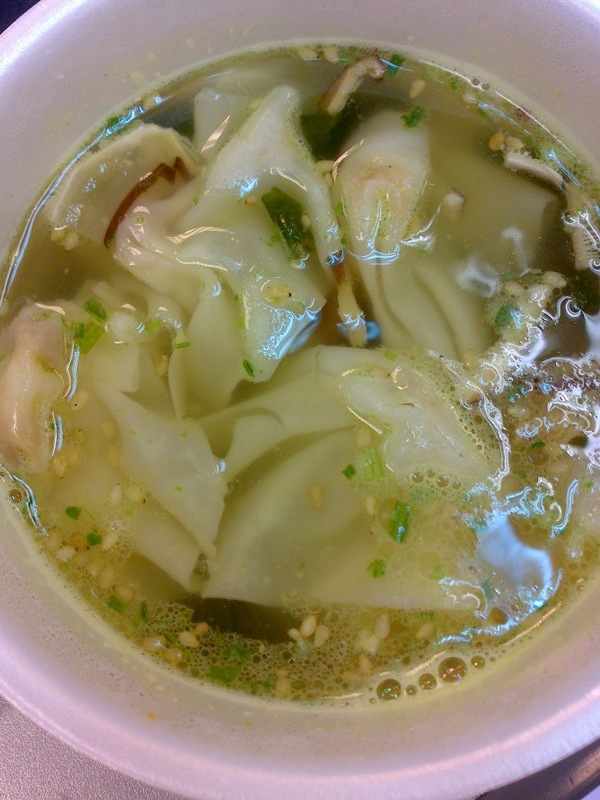 After a few minutes, the wontons were soft with pieces of shiitake mushrooms and seaweed floating in the soup. The soup was quite nice and the wontons were smaller filled with grounded meat that was not as fatty as the fresh ones. After googling it, I was surprised that it is a best seller in Japan and their brand came as early as 1993. See supplemetary info from their pdf report. 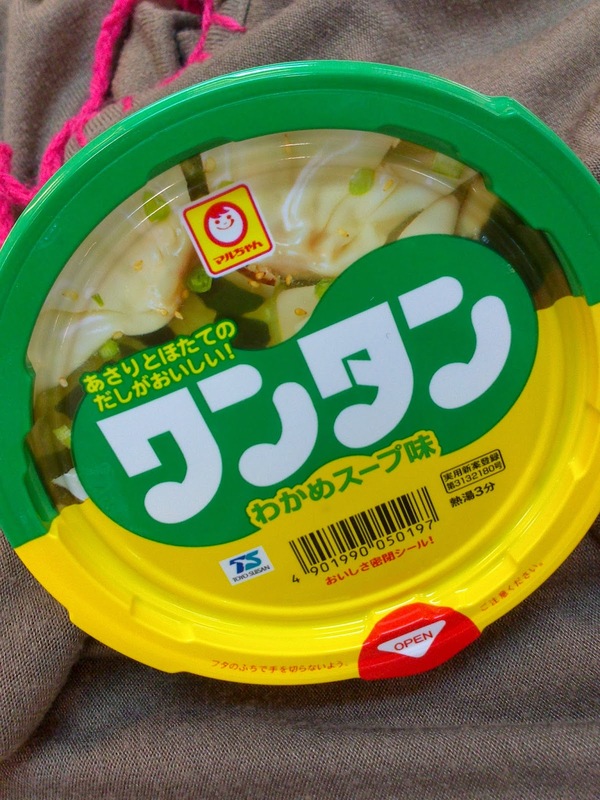 Not only are they popular in Japan, they are popular in the US with a separate website too. Awesome Inc. theme. Theme images by imacon. Powered by Blogger.